We were ducking the salt water being thrown over the starboard side of the skiff as we headed across the back waters. The wind was creating unfishable conditions for flounder in the open water so we headed back up to the wood line for cover.Sure enough we found flounder stacked up, the down side was they were all between 16″ and 17.5. Total shorts 21. 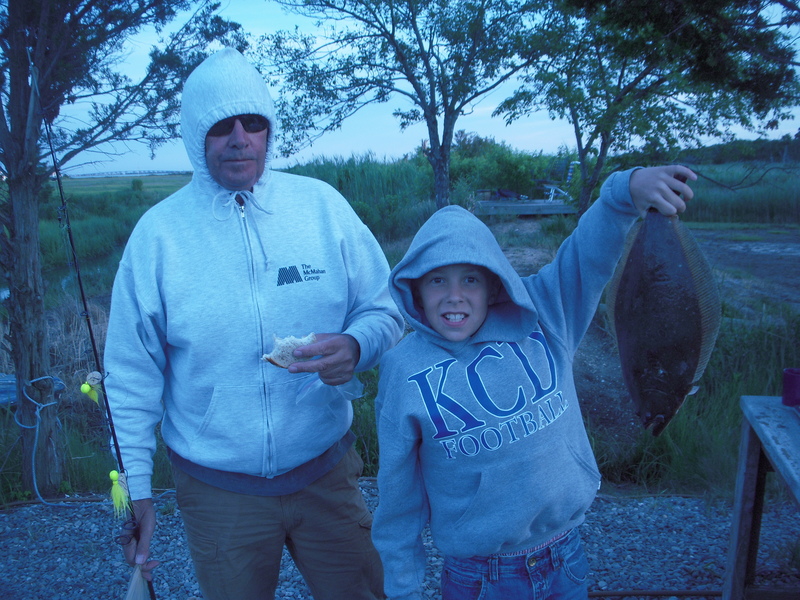 We did find one 20″ keeper flounder.Our fishing trip was cut short due to engine issues. Total fishing time not including run time was 35 minutes. The water temperature was 62 degrees. The water clarity was an 8 on a scale of 1 to 10 with 10 being the clearest. The amount of effort to find the flounder was a 5 on a scale of 1-10 with 1 representing the least amount of effort.